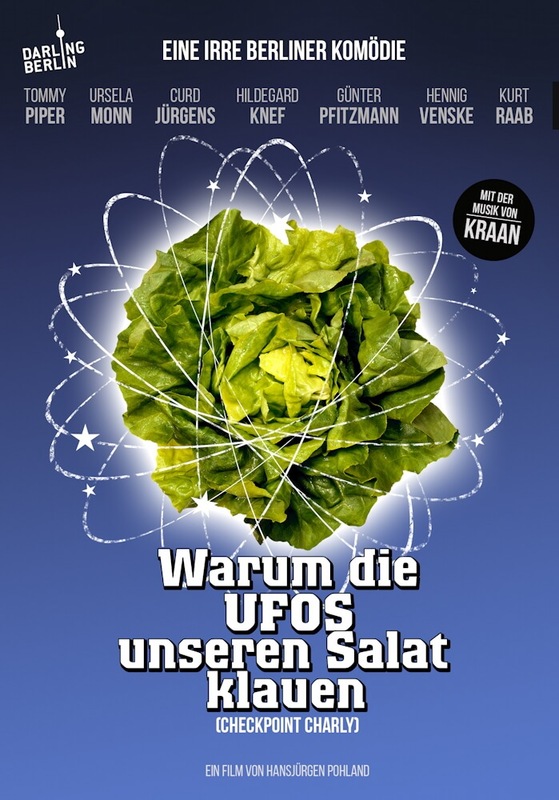 “Warum die UFOs den Salat klauen (Checkpoint Charly)” is the title of an 80s Berlin science fiction comedy by Hansjürgen Pohland, which our film Label Darling Berlin in cooperation with moviemax is now releasing on DVD and VoD. 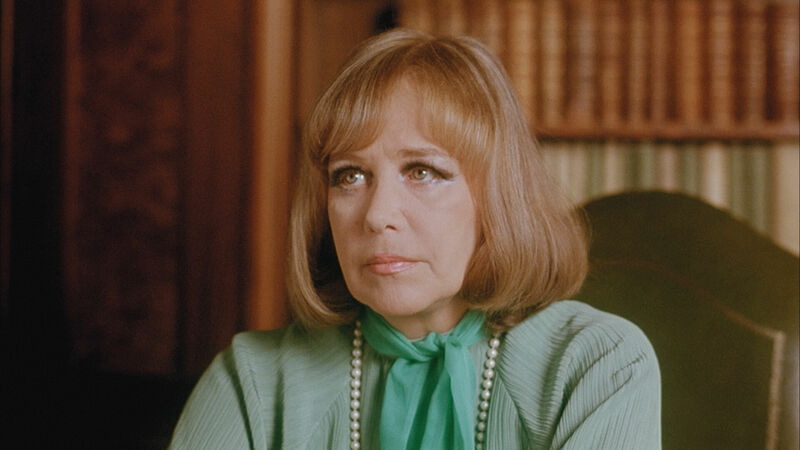 In addition to Tommi Piper and Ursula Monn in the leading roles, German world stars such as Hildegard Knef and Curd Jürgens play in the crazy 1980s cinematic spectacle. 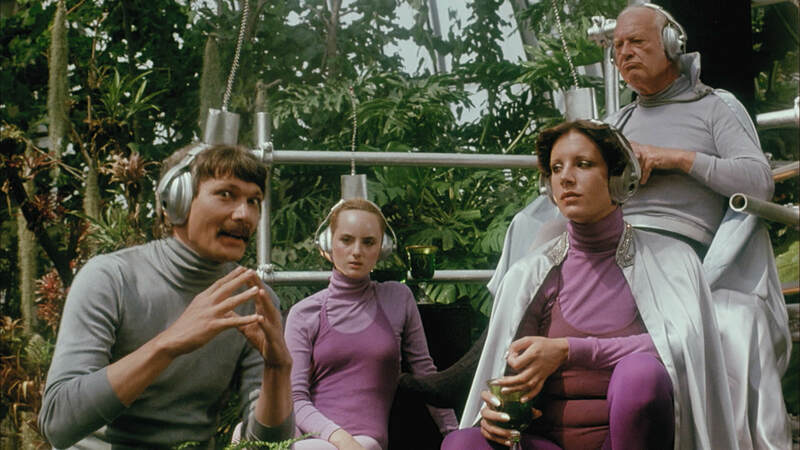 The film (English translation of the title: “Why the UFOs steal the salad (Checkpoint Charly)” is about ecologically oriented hobbyist Peter McDonald, who makes his way from the Bavarian province to Berlin to breed his own invented supersalad. 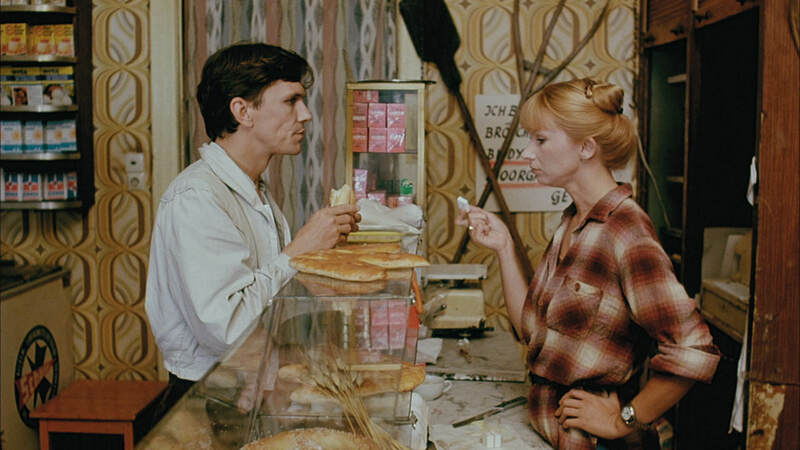 Incidentally, he hopes to find his mother in the city to get some money from her for breeding the salad. After realizing that his mother is not only very depressed, but also a brothel owner, he turns away from her and now tries to finance his own salaatuchtung alone. After a garden party in the allotment garden colony it becomes clear that something is wrong with McDonald’s supersalad. The people who eat him fall into hypnosis and the vehicles he comes in contact with can suddenly travel twice as fast as usual. After a review of the salad by the international secret services, the US military arrives. The scene is watched by extraterrestrial beings, the bionauts, who closely monitor each step of Peter McDonald. The film is now available on Prime Video, from February 8, it will also be available on other VoD portals and on DVD. With it as actor and actresses: Thomas Piper, Hildegard Knef, Ursela Monn, Curd Jürgens, Günter Pfitzmann, Pavla Ustinov, Raimund Harmstorf, Gerd Duwner, Henning Venske, Kurt Raab, Alexander Kerst, Antonia Dauphin, Almut Eggert, Edgar Froese, Herbert Fux, Jan George, Beate Hasenau, Klaus Münster, Ilse Pagé, Uwe Paulsen, Peter Schlesinger, Joachim Tennstedt, Dan van Husen und Herbert Weissbach.